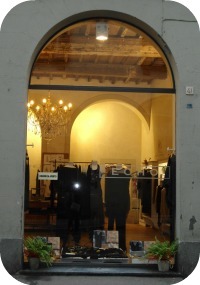 Italian clothes are world famous and Florence has no lack of wonderful clothing shops. I’m assuming that people who want to shop in Italy would prefer to purchase authentic Italian made goods. 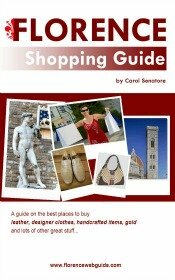 I'm going to tell you about some great stores where you'll be sure to find clothes that are made in Italy. The shops below focus on clothes for women, from casual to more elegant styles with a range of price levels. This is a wonderful shop that is just behind Piazza Duomo, but is nevertheless on a street that many vacationers to Florence miss. Echo sells very feminine looks that are arranged in the shop by color. The front of the store has the more elegant clothes, and the back room has the more looser-fitting casual clothes. The garments have lots of lovely touches like embroidery, designs, lacy add-ons and such that give the clothes a special flair. Clothes here are for women who like a younger trendier look. Don’t be thrown off by the name, this is not a store for dance clothes. The store owner, Nicola Parisi – who designs all the clothes himself – named the shop after his wife who is a ballerina. The store has a huge selection of clothes that tend toward the more elegant and womanly style. There are lots of evening dresses and skirt and top sets, floral patterns, and form fitting cuts. It’s hard to know though just what the shop has because the racks are so chock-a-block full - if you like exploring you'll love Dance! Fantastic prices considering the personal design and production and the fine quality. Large-scale production allows for inexpensive prices for what I would call ‘party clothes’. This is a good place to go to get an outfit for a special occasion (wedding, graduation party, etc) without spending a lot. Very feminine looks, lively colors, patterns with beads, rhinestones but also retro styles as well as traditional suits and dresses. Macel is a true boutique. You will find carefully selected items catering to the elegant and refined woman who seeks out and appreciates quality. 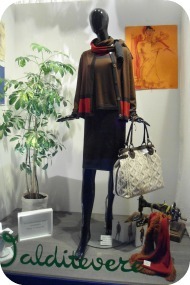 The shop offers a ‘total look’: if there is a dress that you like, Macel will also have the bag, scarf or jacket to match. Carolina, the shop owner, and her friendly assistants Barbara and Martina are helpful in putting it all together for you. If you want high quality women's wear you will appreciate this store. Italian fashion at its best. Macel has some simpler casual pieces, but most items are for the 30+ lady who likes a stylish and very feminine look. 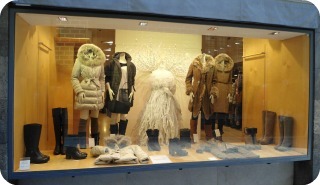 This is a shop for girls and women’s clothes – clientele ranges from 25 to 60 years. Carpe Diem sells beautiful Italian designed and produced clothing with a very feminine flair. They carry chic and sophisticated or fun-spirited and breezy styles, yet all very practical and comfortable. You'll find the Italian designer Moschino, and also 2 popular Italian brands: Almeria, famous for its Tuleté knits ($$) and Tensione In ($) which makes very flattering and unique garments at surprisingly affordable prices. The owner, Emanuela, is very helpful and friendly. 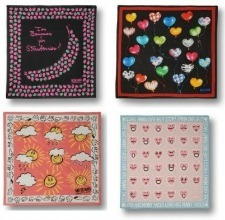 Ask her to show you the huge selection of gorgeous Moschino scarves (kept in the drawers). 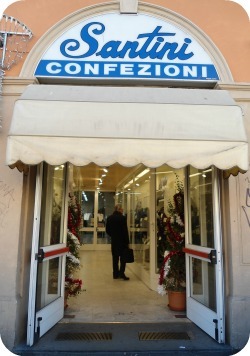 Santini has Italian clothes for men & women, but is much more popular in Florence with men. It is a huge store which seems more like a wholesale outlet than a retail shop. The prices too. I recommend Santini more for men than women (although women too go here for great bargains) because men's fashion doesn't change as much as women's, and Santini has fantastic value for classic pieces. This is a no-nonsense shop for the sensible shopper who wants quality at a reasonable price and is not interested so much in the latest designer fad. I know some men who shop here but - since Santini is not a 'trendy' shop - they don't admit that they buy their great looking clothes here! The vast majority of clothes are designed and made in Italy (look for label). 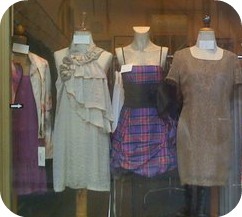 There's also a large choice of ‘dressy’ clothes for special occasions for women. 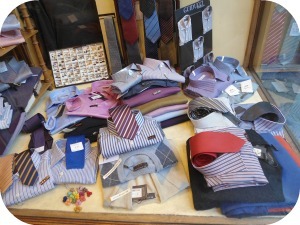 Chelazzi is a small shop for men’s shirts, knitwear and ties. Clothes here are made of quality materials (cotton, silk, Merino wool, cashmere) at affordable prices. The shop carries classic lines with an Italian touch. Check out the beautiful pullovers in Merino wool or wool/cashmere mix in triple woven Zegna-Baruffa knit fabric.